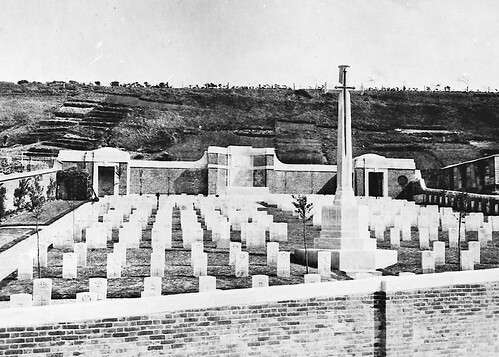 La Treport Military Cemetery, La Treport, Haute-Normandie. A WW1 cemetery for deaths of patients at General Hospital No.3 1914, No.16 1915, No.47Â up on the hill. The Reverend Hubert Gordon Allan Y.M.C.A. 7th April 1915. What is interesting in this cemetery are the spread of different burials here. A Sailor of 1939-1945 War Merchant Navy. A sailor possibly from the Dieppe raid or a channel battle. An Airman of 1939-1945 War. A Sergeant, Royal Air Force. A pilot or crew member from a shot down plane or was killed here in 1939 trying to escape? 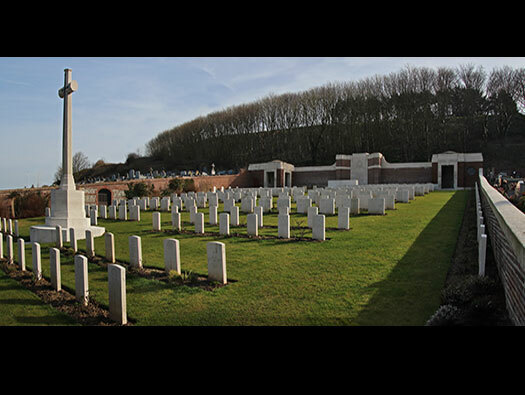 Commonwealth War Graves Commission . 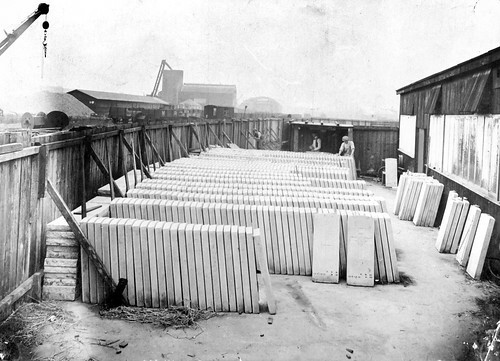 Making grave stones after WW1. This Stone Was Laid May 5th 1920. 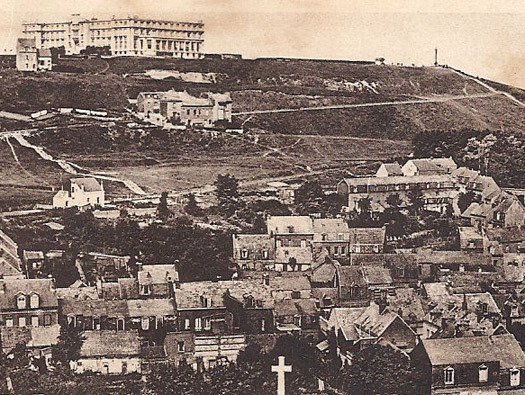 Above the cross on the hill was the hospital. Margret Trevenen Arnold. V.A.D. Member 12 March 1916 Age 31. Margret Trevenen Arnold. V.A.D. attd. 16th Gen. Hosp. Died or disease 12th March 1916. Age 31. Daughter of Edward and Minnie Arnold, of Pook Hill, Chiddingfold, Surrey. Plot 2. Row 0. Grave 22. Her name is on the Chiddingford war memorial. 1189 Private A. ADDISON, Yorkshire Regiment, 30th July 1915. 3555 Private A.R. 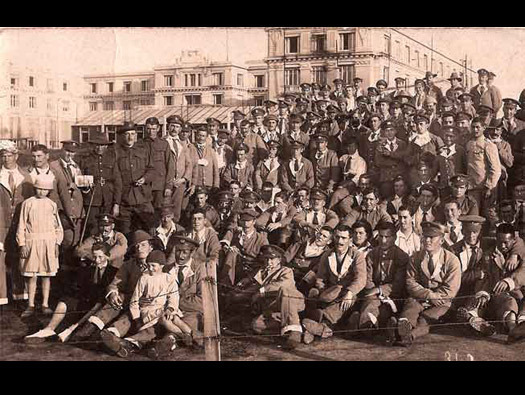 Byrdett, Leicestershire Regiment, 31st July 1915. 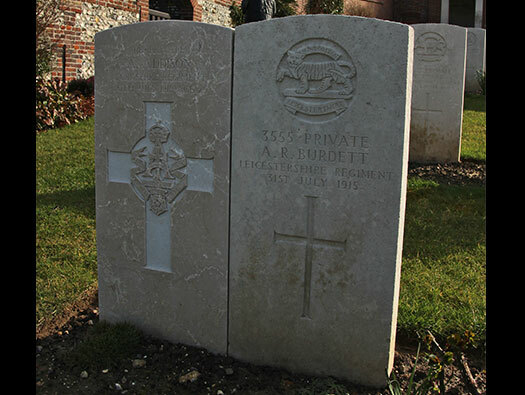 These two are 1915 WW1 memorials and the touch each other, the reason for this is that they possibly were or became very good friends and they both died very close together. Its a touching thing that happens in many war graves. A lovely touch and if you visit a CWGC cemetery, look out for friends. The history of the cemetery. The cemetery was placed next to the local cemetery but as it filled up another cemetery was opened at 'Le Mont-Houn'. 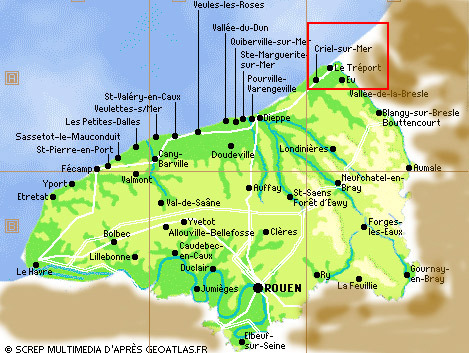 In 1880 a company conceived the idea of a housing estate on the plain of MONT-HUON and La Treport Military Cemetery it DOMAINE DU TRÃ‰PORT-TERRASSES . A huge, magnificent Hôtel called le Trinion was built and completed in 1913 (Henry SAUVAGE et Charles SARAZIN, the architects and conceivers of la Samaritaine department-stores in PARIS). A luxury Hôtel with 300 bedrooms was to attract the clientele belonging to the rich middle-class and compete with the sea-side resort of Paris-plage. A golf-course and a big garden were laid out but the expected crowds didn't come Consequently the housing-estate wasn't built and WW1 ruined this big plan. It was transformed into a British military hospital during the Grande Guerre and sheltered the soldiers wounded in WW1. After the war. they had to give up their plans and the abandoned estate was used as a camping-site and then became working-class gardens. In 1942, the German army blew it up, pretending it was a landmark to help the allied air-force. The only vestige left is the perron, leading up steps to the first terrace.